David Bazan has more than enough material between his numerous projects—Pedro The Lion, Headphones, Overseas—from the last 17 years to have made multiple greatest hits compilations, but rather than do it in the more traditional way of throwing tracks together with a few B-sides or live versions, Bazan reimagines the classics. First it was his live studio album from 2010, Live At Electrical Audio, and now he’s given us a collaboration with Seattle’s Passenger String Quartet aptly titled David Bazan + Passenger String Quartet Volume 1. As with any compilation, everyone can make arguments for songs that aren’t included (I for one would have loved to see “Curse Your Branches” included), but Bazan has chosen some real standards for this collection. From Pedro The Lion numbers such as “The Fleecing” and “When They Really Get To Know You They Will Run” to new classics like “Lost My Shape” and “Wolves At The Door,” Volume 1 is a well-rounded assortment of songs. Not to mention the fact that this album is VOLUME ONE. That’s a pretty good indicator that there will be more to come from Bazan and the PSQ in the future. Whether those volumes end up containing new songs or more from past releases, they will be worth a listen. This album very accurately captures the raw power and intimate intensity that Bazan consistently delivers in live settings. The string arrangements are hauntingly captivating as they give these tunes new life while being reminiscent of the album versions we’re familiar with. Bazan has always had a way with melodies, and the strings capture them wonderfully, accentuating small musical lines and sending these songs into all new heights and even depths. “Bands With Managers” soars after the addition of the chorus from “June 18, 1976,” while “Wolves At The Door” is slowed down for a darker and more brooding feeling than the Strange Negotiations version. This album is a must for any fan of Bazan’s work as both a beautiful piece of work and a marker of all that he has accomplished in writing over the years. It also comes at a time when Bazan seems to be turning another page as an artist. While continuing his living room tours and other live runs with the Passenger String Quartet, Bazan is in the middle of his ongoing New Songs Volume 1 project wherein he releases two new songs on the first of every month going back to July 2014 and through November. Without drawing too much attention away from the piece at hand, he is doing some amazing new things thus far. Bazan shows no signs of slowing down between his various studio projects and seemingly constant tour schedule. 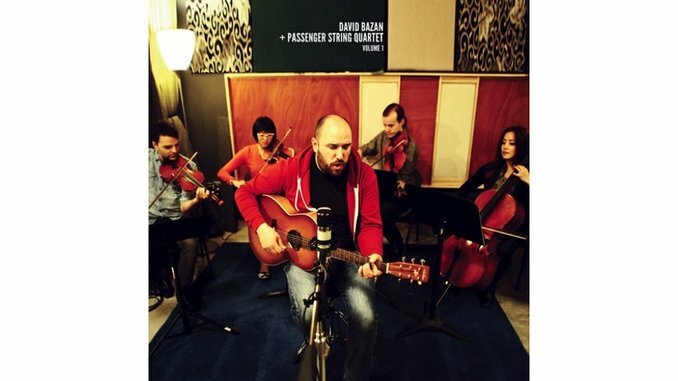 At the very least, David Bazan + Passenger String Quartet Volume 1 is a fitting celebration of a truly great artist.